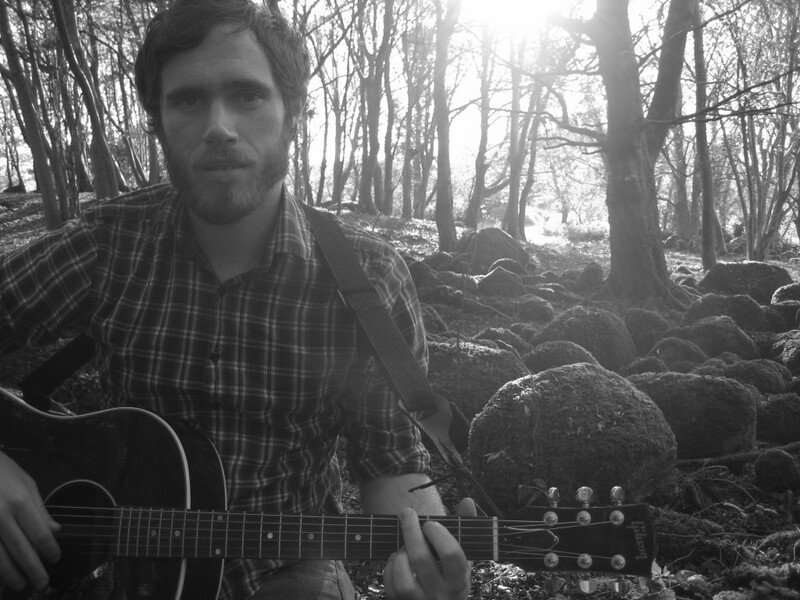 When I last spoke to James Vincent McMorrow he was just beginning to make an impact on the live scene after the stateside release of his debut, Early in the Morning. Now he’s played major European festivals and returned to America as a headliner in his own right. Just as honest and sincere as his music, the Irish musician sat down with me before he took the stage for a phenomenal gig at Bowery Ballroom. How does it feel to be the main act now when, only a few months ago, you were the opener for Bell X1? It’s good. It’s great. I didn’t expect to be back so soon. It wasn’t so soon because it was June then and it’s September now. It was right around that time that we were talking about doing headline shows. It feels pretty early, especially for an Irish act coming over so soon after the record came out. It feels real early, but everyone seems to think it’s a good idea, and the show in Philadelphia last night was great. How does it feel to have the full band in America as opposed to just playing by yourself? It’s great. And not just for being on my own. It was myself and Adrian, which was fine, but having two people or having nine people—it’s a massive difference. It’s lovely to just sit in the van all day long and see places and do things and then play music at night. It’s not a bad way to spend three weeks. What do you miss the most about home when you’re over in America, especially since you’ve been touring pretty hard this year? Beyond friends and family, I don’t miss much about home, if I’m honest. I spent my whole life in Ireland, bar a couple of years in London. It’s my home. It’s nice that some people grow up somewhere and want to stay there. I like to travel. I like to see things, so it’s good for me that I get to go home for a couple of weeks. Like I was home for a week and a half, and then I get to play again. It’s like a holiday going home, which I like, and then this is work, which is also not that bad. It’s great. It’s kind of win/win. In December, I’ll be back in Ireland for a month. I don’t miss being back because if I was back, I’d just be sitting around doing nothing. When I’m away, it means people actually want me to be places. Speaking of Ireland, how was your gig in a cave? The gig in the cave was amazing. Actually, it really was as good as I wanted it to be. It was really beautiful. Cold. It was cold, and on the one hand, it wasn’t what I was expecting. It was different visually from what I was expecting. It wasn’t touristy— it was still a cave, but it was easy to get down into, like a kilometer walk underground and then this huge cave. It was just a great show. It was great fun. Lisa Hannigan as well is just a joy to be around and play with. Switching gears a little bit, I heard your cover of “Higher Love.” I thought it was really awesome. What do you think makes a good cover song? I sing songs that are covers of the songs I love. I’ve seen a lot of talk on the Internet about the “Higher Love” thing, and the word “ironic” gets used a lot, which I think is selling that song short. It’s an incredible song. Everyone knows all the words. You’re lying if you say you don’t know the song. It’s a great song, and I’m always confused when people are like… Okay, my parents were big fans. My mum was a big Steve Winwood fan. I became a Traffic fan when I got older. I’ve always loved that song. He’s a brilliant singer, and it’s always the same with those kinds of guys. They look back on the 80’s and they focus on The Smiths or The Cure. It’s just a different sort of music. I think he’s a brilliant singer and it’s a great song. I didn’t do it in an ironic sense at all. I think it’s a great tune, and that’s how I pick the songs to cover. I love the notion of taking a song and flipping it a little bit. The intent, the lyric of that song is really pure and honest. My dad is a huge Genesis fan, so I heard a lot of that growing up. There’s nothing wrong with Genesis either! It’s hilarious that people don’t get that they’re such good songs. People who don’t think that Phil Collins is legit are out of their minds. We always talk about this in the van. Phil Collins used to be universally hated by people, and it’s mental because he wrote brilliant songs. I mean, they were of a particular type. They’re not without their cheese. Who doesn’t love “Something in the Air Tonight”? That’s insane. Those drums! It’s ridiculous. If you’re mentioned in an Eminem song, you know you’ve made a lasting impact. Those people are great at what they do, and it’s worthy of mentioning. So that’s where that song came from. So if someone has never heard you play before, how would you sell the idea of going to one of your shows? I’m a very bad salesman. It’s why I don’t sell stuff for a living. I don’t know. It’s honest music. I’m not having anything on. I’m not onstage trying to do something or be something. No, the music— I’m proud of it. And I try to do it justice live. People will come to the shows to hear that, and it’s different from the album. I think it’s important that you give somebody who comes to see a show something to remember. Just doing a straight, generic take on a record feels quite tedious, so we try to make it different. At the solo shows, it’s fundamentally different, but even with the live band we’re six individual musicians with individual ideas. Hopefully, it’s good. In a simplistic fashion, we do something good, and hopefully people like it. They say they do. There’s this simple honesty about it that seems to resonate with people. That’s how I am. That’s how I play. I’m a simple folk.